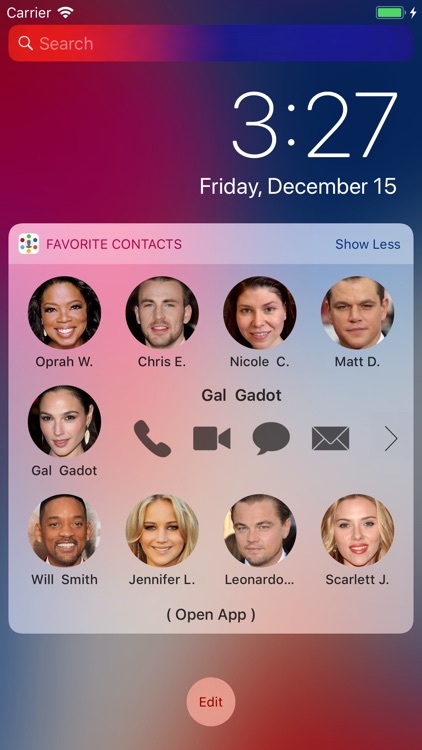 We all have many contacts in our phones, but who do you actually contact regularly? Surely only family and friends. 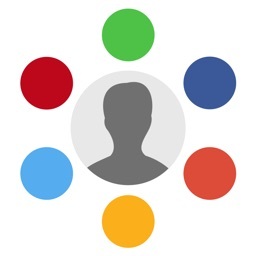 For those people that you contact often, Favorite Contacts provides you tons of ways to communicate with them. From WhatsApp, Telegram, Snapchat or FaceTime to Facebook, Twitter or Instagram. 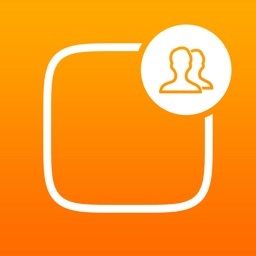 Simply open the app, or better yet, do it right from the Today View / Notification Center. 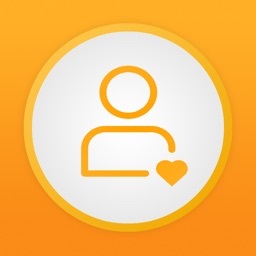 - Beautiful and handy app that keeps you closer to your favorite and most frequently used contacts. 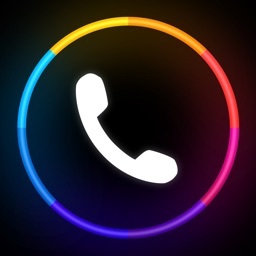 - Widget for the Today View / Notification Center to quickly chat, start calls or send messages right from within any app or the home and lock screens. 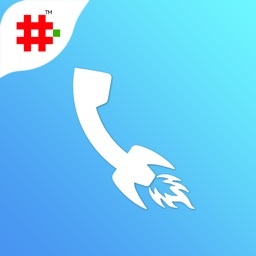 - Quickly view any contact's phone, email or address directly on the widget. 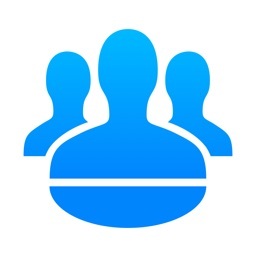 - Contacts with animated photos (GIFs). 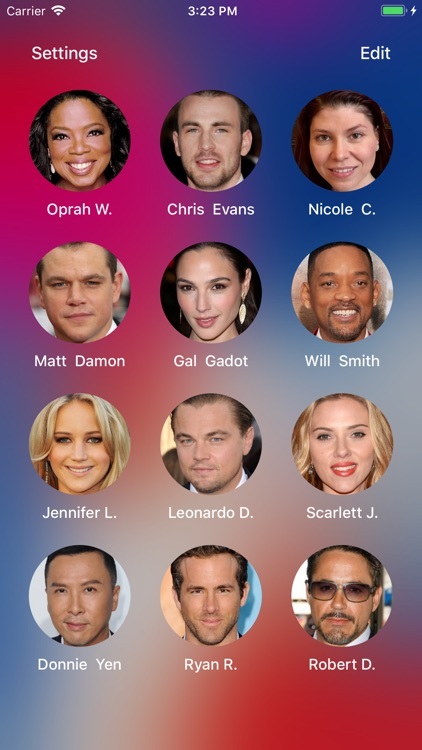 You'll be able to recognize your contacts more easily and with a lot of fun! 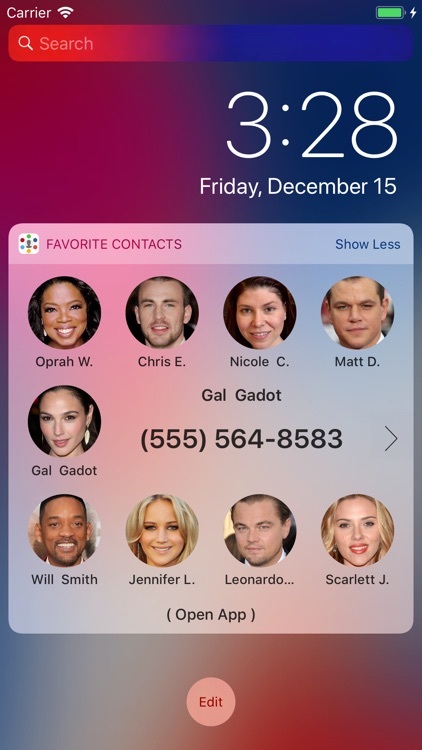 - Very easy to configure and use, simply add your contacts once, then just tap on them to quickly access all the available actions. 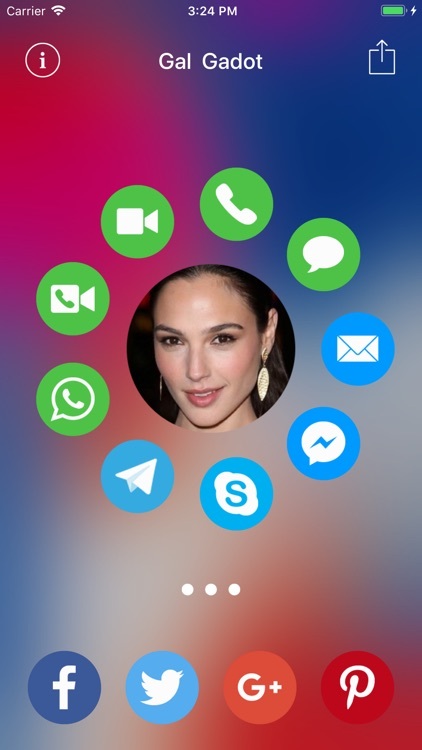 - Supports Phone, FaceTime, FaceTime Audio, Mail, Messages, WhatsApp, Telegram, Skype, Facebook Messenger, Facebook, Twitter, Instagram, Google+, Pinterest, Snapchat, LinkedIn, Kik, Vine, Periscope, Tumblr and Flickr. 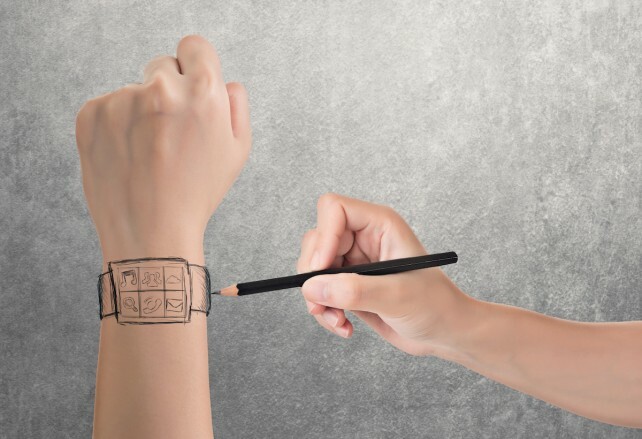 - Many different styles for you to personalize it and make it look just the way you like. Download and start using Favorite Contacts today! What new feature or improvement would you like to see? Please send us your feedback from right inside the app or to [email protected] Thank you! 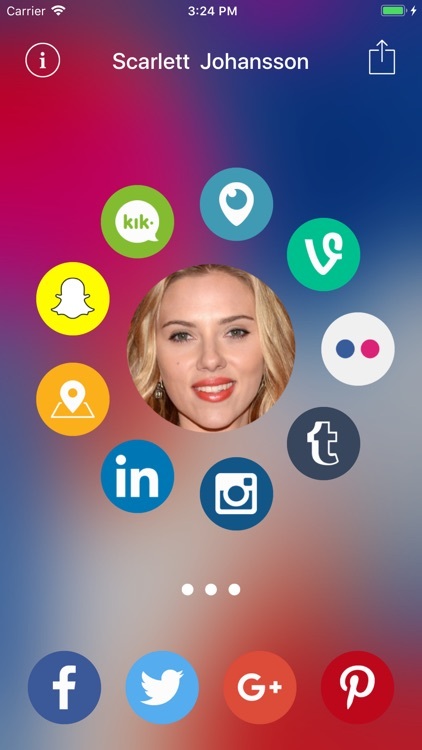 Similar Apps to Favorite Contacts! 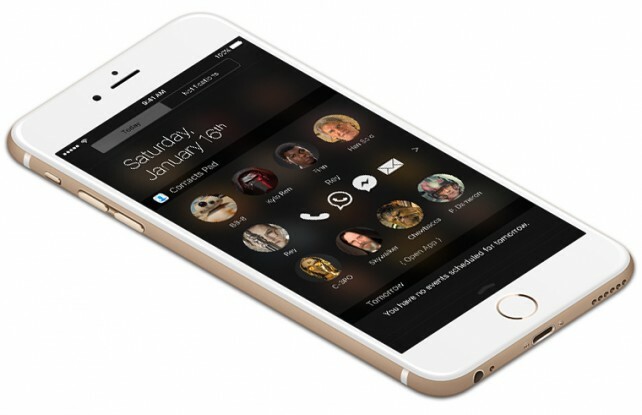 This convenient app lets you communicate with your contacts in many ways right from your Notification Center.